How do I set up a time clock kiosk? You can now set up a time clock kiosk so your employees can clock-in from a designated terminal at their location. 2. Once you are there, we will ask for your credentials. After you have typed them and logged on, we will ask you to define the locations attached to this kiosk. Employees can only clock-in a shift if the Kiosk is set for the location of the shift. For example an employee with a shift in Brooklyn can't clock-in with a Kiosk set for shifts in Manhattan. 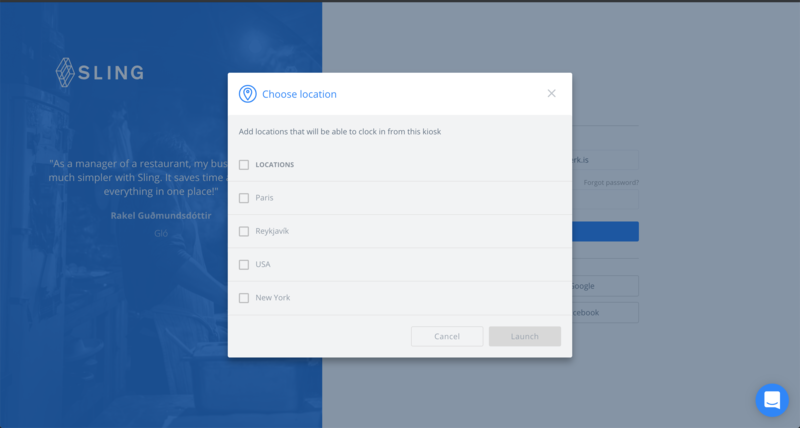 You can select multiple locations.